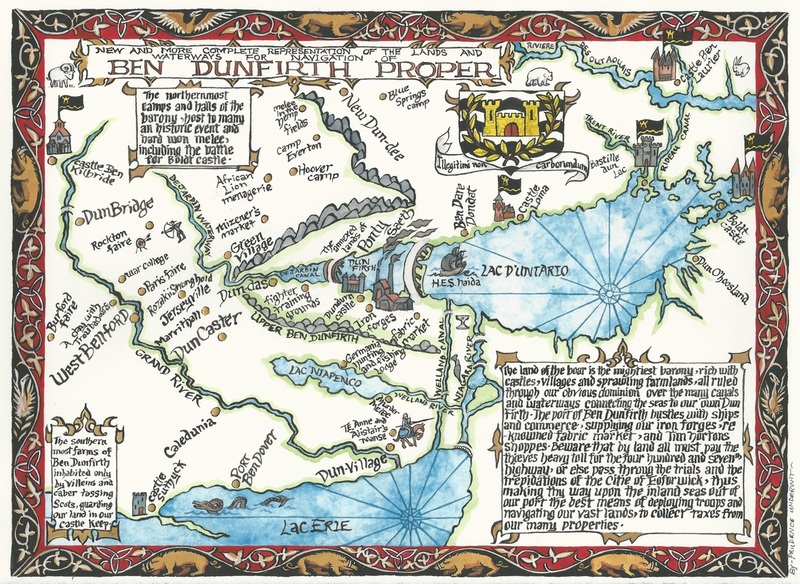 A map of the Barony of Ben Dunfirth by Prudence Underwit. Map is Barony-Centric and may not reflect actual lands of Ben Dunfrith. 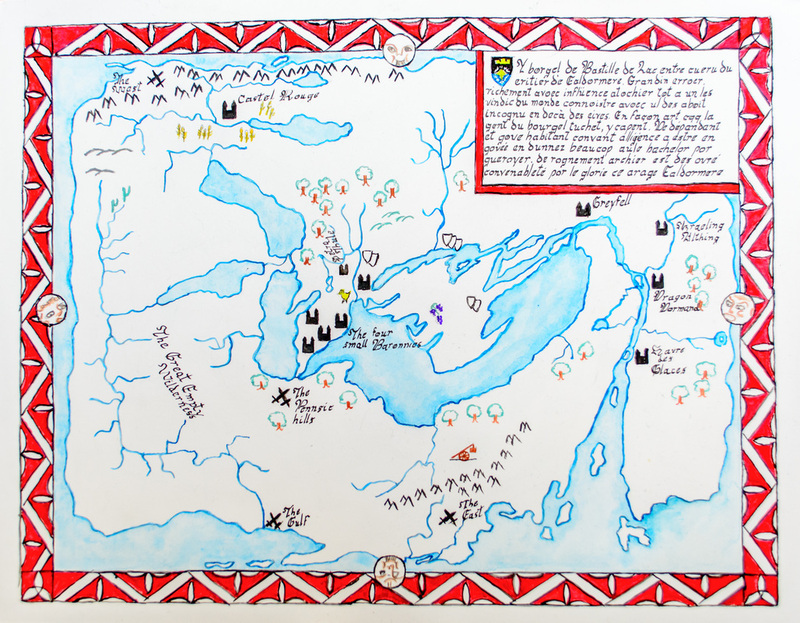 A map of the Shire of Bastille du Lac, drawn by Jéhanne de Bretagne. Map is Shire-Centric and may not reflect actual lands of Bastille du Lac. Some older, dated maps of Ealdormere. Some borders may have changed and been updated, please consult with your local Seneschal.